This Happy Buddha has a wonderful carved expression on his face and a truly joyous countenance. 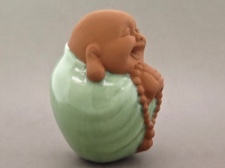 Known as the Laughing Buddha, he is a representation of both contentment and abundance throughout Chinese culture. 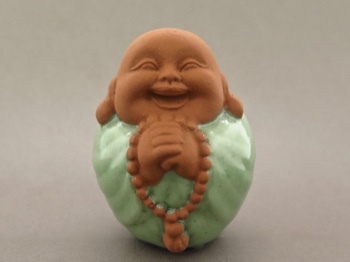 This small buddha is made from clay, and has a solid weight to it. 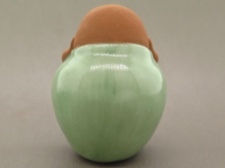 It stands 2.75 inches tall and is 2 inches wide at its roundest area. Fits perfectly in the palm of your hand and is an excellent reminder to always be kind, generous and grateful!